King Suryavarman II built the largest religious monument in the world in the 12th century, Angkor Wat. 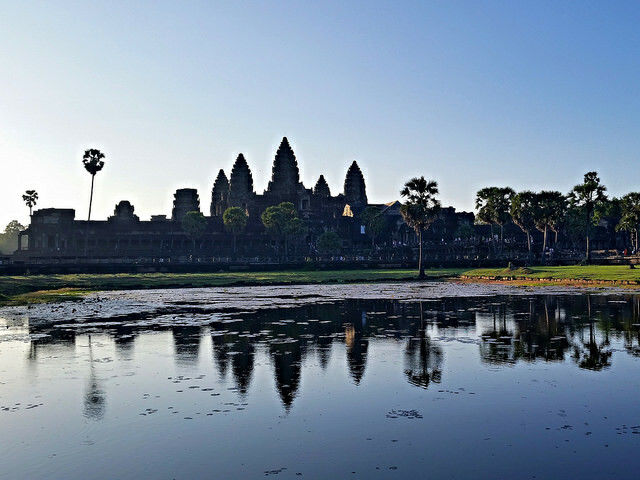 It’s the focal point and most recognizable building of the Angkor complex, however the true value of Angkor rests with the assortment of temples, monasteries, and residences built by the kings of the Khmer Empire over six centuries. Tickets can be purchased after 5pm for the following day. Grab your ticket at 5pm and roll into the park for sunset.